What can you do with your kids in Memphis? Well, there's music history, delicious BBQ, a mighty well-known river, and much more. Sure, it's the birthplace of rock 'n' roll and home of the blues, but a trip to Memphis isn't complete with just a stroll along Beale Street and an order of smoked pork ribs (though both are great options for kids and adults alike). From summer fun to museums galore to a hotel lobby filled with beloved ducks, Memphis is a whole lot of fun for the whole family. This unique area at the Memphis Botanic Garden offers places for kids to splash, climb, build, make music, and much more. The Idea Garden area of My Big Backyard has a new theme every year, so there is always something new to explore. My Big Backyard is included with admission to the Memphis Botanic Garden. The Children's Museum of Memphis is the ultimate in hands-on fun. Kids are invited to explore and interact with a variety of exhibits and features including art stations, real emergency vehicles, a skyscraper to climb in, a kid-sized grocery store, a toddler area, and much more. There is an outdoor splash park open during the summer. In late 2017, the Children's Museum restored the 1909 Dentzel Memphis Grand Carousel, a beautiful, glass-enclosed historic carousel that the whole family can ride and enjoy. You can ride the Grand Carousel for an additional $3 ticket. The Memphis Zoo has been one of the city's most popular attractions since its beginnings in 1906 and is now bigger and better than ever. With over 3,500 animals housed on its 70 acres, the zoo offers hours of entertainment and education for kids and adults alike. Enjoy exhibits like the Northwest Passage (polar bears), China (panda bears), Zambezi River (hippos), Cat Country (lions and more), and Teton Trek (grizzly bears). The Pink Palace Museum started out as the home of Clarence Saunders, founder of Piggly Wiggly grocery stores. The sprawling pink-stone-clad mansion was gifted to the city to become a natural and city history museum. Its large collection of permanent exhibits will help kids to explore Memphis' natural and cultural history, and the planetarium and CTI Giant 3D Theater provide education and entertainment. Add in rotating visiting exhibits, and there is always something new to see. The Fire Museum is a unique destination for kids in Memphis. It features exhibits highlighting fire history in Memphis, fire safety, and fire prevention. As an added bonus, admission to the museum is two for one on Tuesdays (please always confirm pricing before making your trip). Golf & Games Family Park is a one-stop fun shop. While its namesake attraction is miniature golf, it also features an arcade, batting cages, go karts, bumper boats, laser tag, a sky-high obstacle course, kiddie rides, and more. You can sometimes find food trucks on site as well. If the library seems a little tame as a destination for kids, don't discount it too quickly. The children's department at the Benjamin L. Hooks Central Library is a bright and colorful place filled with children's books, videos, CDs, and more. Plus, throughout the week the library offers story time, craft time, and more. One of the largest urban parks in the country, Shelby Farms offers miles of trails, an off-leash dog park, horseback riding, the world-class Woodland Discovery Playground, and Go Ape, an adventure ropes course for older kids and teens. Seasonal events and activities mean there's plenty to keep children occupied outside year-round. Kids will absolutely love these fine feathered friends that march in the Peabody Hotel daily. At 11 a.m., a Peabody Duckmaster leads the ducks down from their rooftop Penthouse in the elevator, then they march down a red carpet into the fountain, where they spend the day splashing away. At 5 p.m., the red-coated Duckmaster comes back to send them back upstairs for the evening. It's free and fun to watch. Memphis' food scene is one of the most compelling reasons for adults to visit Memphis, and it should be no different for the kids! Take your kids to Belly Acres for burgers in an elaborate farm-fun atmosphere (including an airplane and a tractor), or take them for milkshakes at an old-timey soda fountain during the day at A. Schwab general store on Beale Street. No trip to Memphis is complete without a visit to rock-and-roll's most famous house. Graceland is visited by more than 500,000 people each year, and you'll see why after you go. Elvis Presley's well-preserved home is appealing to kids and adults alike; you'll be able to see memorabilia and journey through the private life of the King of Rock 'n' Roll. The tour also includes access to the King's car collection, private planes, movie collection, and more. One of the best ways to see a new city is from the water, and Memphis is no exception. 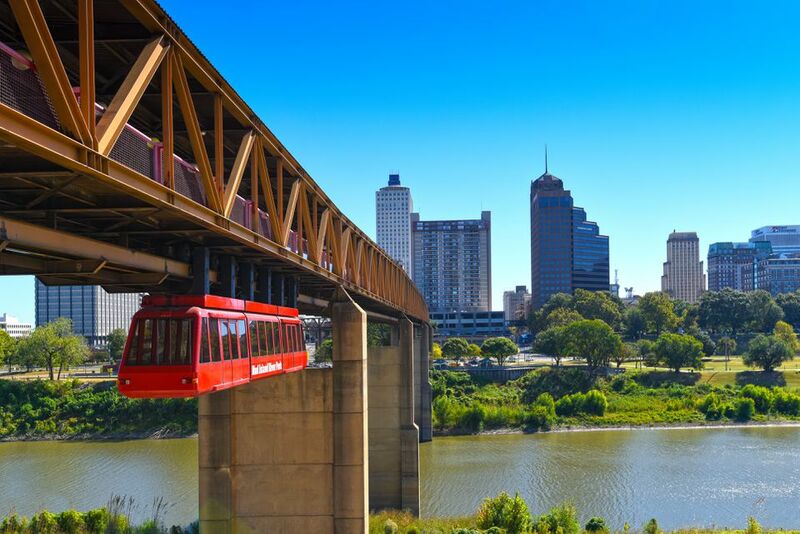 Situated on the mighty Mississippi River, the third-longest in the world, a cruise here gives you the opportunity to take some close-up photos of the Memphis skyline and the bridges that traverse the river. A 90-minute tour with ​Memphis River Boats also includes historical commentary. Eat where the Memphis locals eat: at Central BBQ. This casual, low-key chain has three locations throughout the city, and while it's nothing fancy, the BBQ is a must-eat for anyone visiting Memphis. Kids will love getting their hands dirty with a plate of ribs, brisket, or BBQ nachos.